Well, it's October in Alaska and most of us have put the boats away for the winter. So, here I am surfing the forums for my boat fix. Thought you guys would like to see my boat. 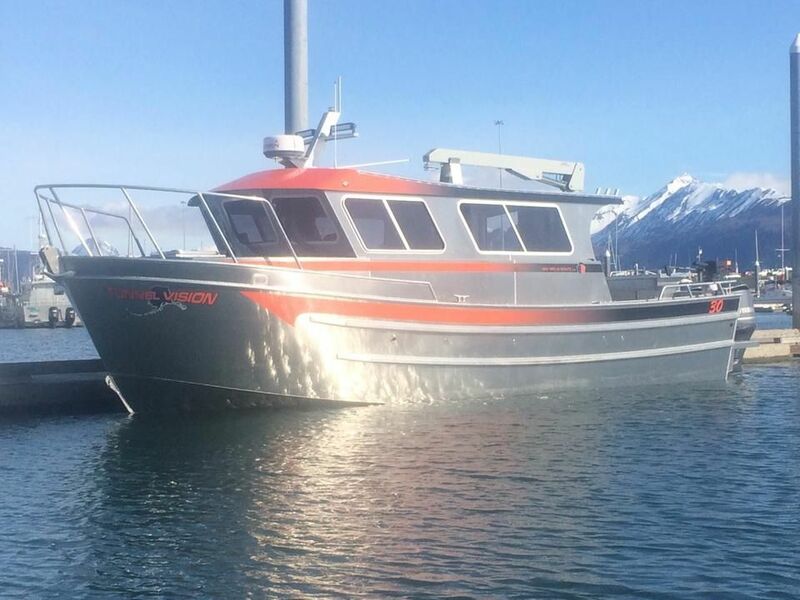 Had Bay Welding in Homer, Alaska custom build her. Build started in January 2015 and took delivery May 2015, Memorial Day weekend. 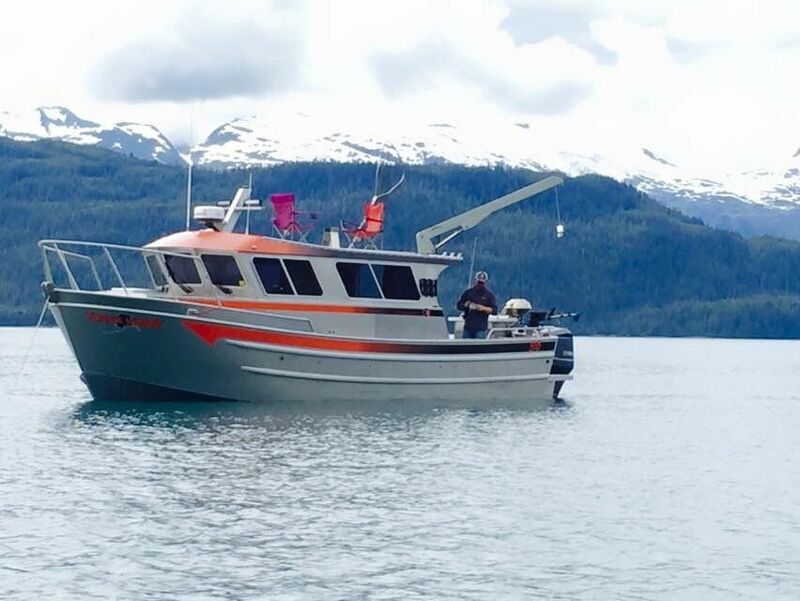 Put 115 hours on the motors and just dropped her off in Homer for a few punch list items and so I can take her out a few times this winter for some winter King fishing in Kachemak Bay. 30' x 10' w/ twin Yamaha 4.2L 300's. Here is a link to the build thread. Lot's more pics. Welcome to the AAB site, nice boat! Can you post a few pics here? Without ever seeing a Bayweld in person, but looking at your pictures and build story, I think they are second to none! Unbelievable attention to detail and a stout build for sure. This is another video if you can't tell it starts out black screen. very nice! thanks for sharing and congrats. TunnelVision, is your handle from a prejudice toward metal boats (?) 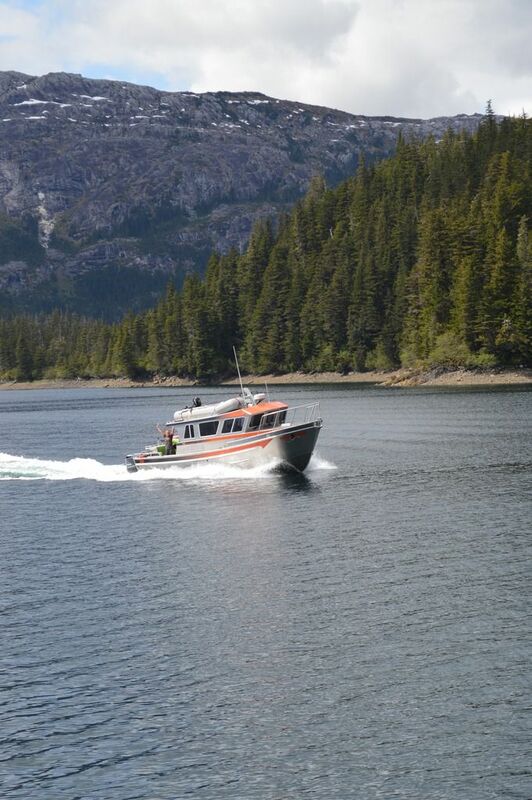 or a comment on getting to your home port (Whittier) from Anchorage? Just kid'n- no need to reply to that. My questions are not about the boat's build or the layout and design but about the power decisions. When they get that big, she's a big girl and very full figured with her Calhoun bow on top of the his delicate forefoot (assuming those are Dennis Calhoun's lines of the boat?) and have that much onboard gear and equipment to operate- my questions are about the decision to go with outboards over and inboard(s)? 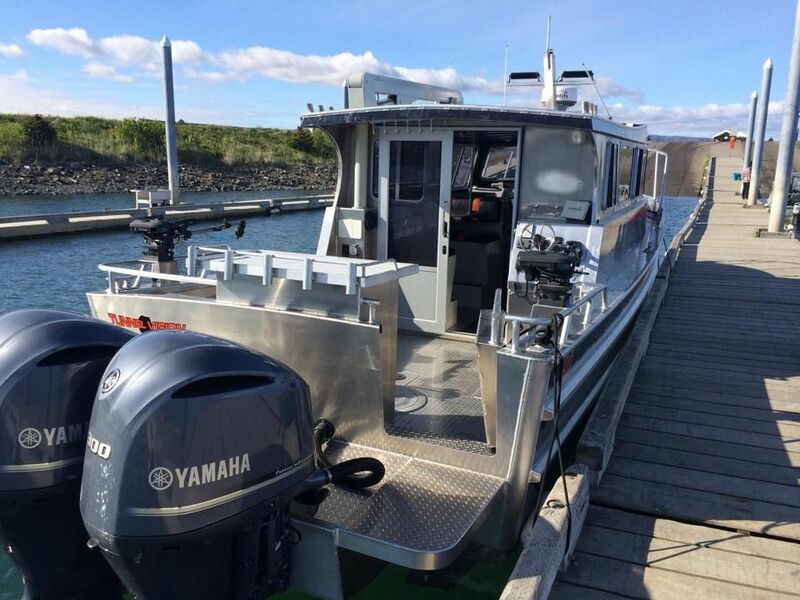 Could you take a minute or two and share your thinking with the rest of the Forum about the decision to stay with outboards in this larger displacement boat? I know there are thoughts both ways but once the boat gets to a certain displacement (not sure where that line is?) it seems like inboards begin to make more sense than outboards? What was the primary, secondary, tertiary... descending order of decisions that lead to outboards on a boat this large? Thanks for any time to share you thought process in your design and building this great looking boat. 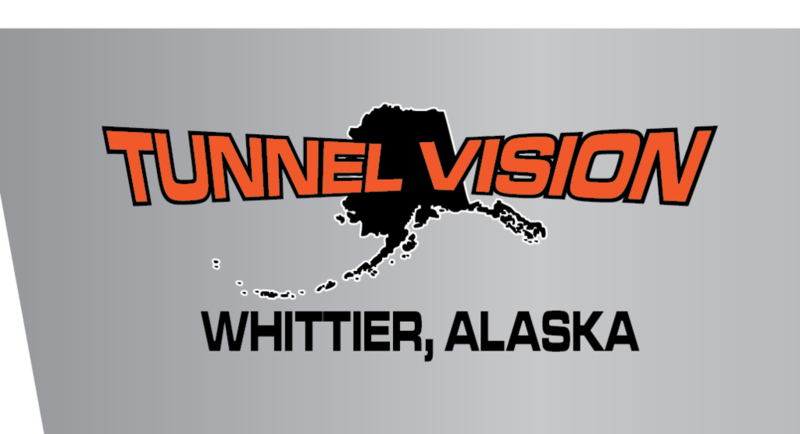 For those not from Alaska I'll provide the background for the Tunnel Vision name. I live in Anchorage, Alaska. 45 minutes away is the port town of Whittier, Alaska which is only accessible through a 2.5 mile single lane tunnel. The traffic to Whittier runs on the half-hour and the traffic out of Whittier run on the hour, mingle in there a train or two. The port of Whittier is one of the major access points for Prince William Sound. So a weekend in PWS is all about the tunnel. Which tunnel are you gonna catch heading out and which tunnel are you going to catch going home. Also, the build was two years in the planning and 5 months to build. It was all I talked, thought, and worried about. There were lots of names on our list. My second choice was "What Sea Said" but my wife voted that one down. If you see a boat named that someday, you heard it here first :). Okay, why the outboards? 1. Inboards are more maintenance and have to be winterized. From Oct to April, my boat could see below freezing temps, but at the same time I might want to take it out for winter king fishing. 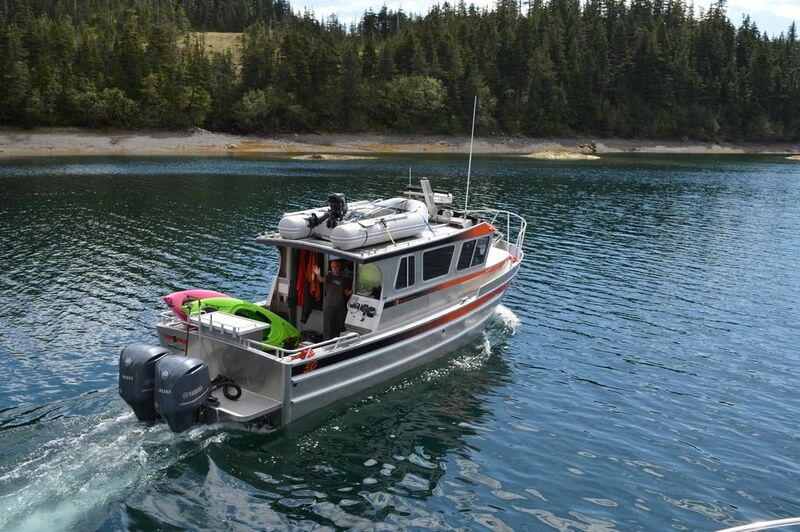 Outboards don't need to be winterized. 2. 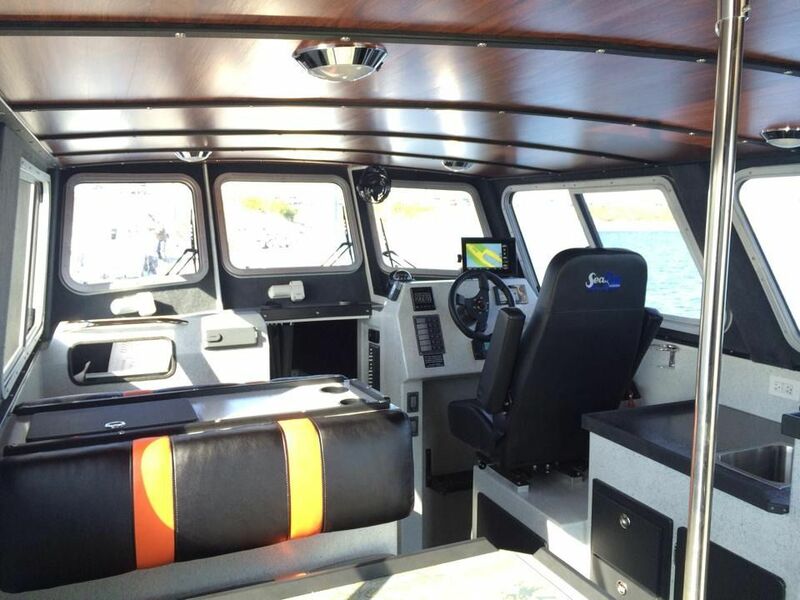 Inboards change the deck configuration of your boat. Either you have a dog house or you have less interior deck side height (if you want a flat non-dog house rear deck). 3. I think twin 300's hanging off the back look cool. She'll do a solid 49 mph WOT. And her efficiency is 34 mph at 1.3 mpg. I was hoping for 50 mph top speed and 1.5 mpg. Now you might wonder why the 50 mph, that's flipping fast. Well, on Sunday afternoon when everyone is heading back to Whittier trying to catch the next tunnel, it's fun to get the measuring stick out and pass other boats :) even though I only beat them to the harbor by 4 minutes and we all end up catching the same tunnel. TunnelVision, thanks for taking time to reply, with all one off or custom built boats the design cycle, the decision tree or the owner's train of thought (which term we'd use best) is often hard if not difficult to follow. I appreciate you posting yours here for others to see the ideas that were priorities. 50mph is definitely hauling for speed on the water, but not everyone can accept the c-note per hour to do it in a boat this size. Our little day boat only uses about 7 gph to get 25 mph and we often throttle down so 20-21mph (gps) to save the other 1.0 gph at the lower speed! Did you happen to know the Bay Weld designer's name? Just curious is D. Calhoun was still drawing for the Engebretsen's (sp?)? Thanks again, and please don't hesitate to post if you go out for winter kings, not much fishing going on when things cool down so it would sure be welcomed here. No doubt on the C-note. At 49 mph, I'm getting 0.9 mpg and burning 56 gph. But, it's the end of the trip so what's another $100 to have bragging rights. I did some research on the name Dennis Calhoun and it appears that Allen and Dennis back in the 90's designed the Bay Weld basic hull which is now IMO the signature BW hull lines that define a BW boat. Not sure if Dennis is still "designing" boats for BW. When I went through my build, I wanted a 10' beam which BW had never done before. Up to my build, BW had taken their standard 9.5" beam and just layed it out port and starboard to about 9'9" if/when customers wanted a few more inches of width. However, laying out the sides resulted in lower interior side height, lower bow height and affected other dimensions on the boat. I wanted a 10' hull exactly so that I could go through the Whittier tunnel for $35 rather than over 10' for $135. 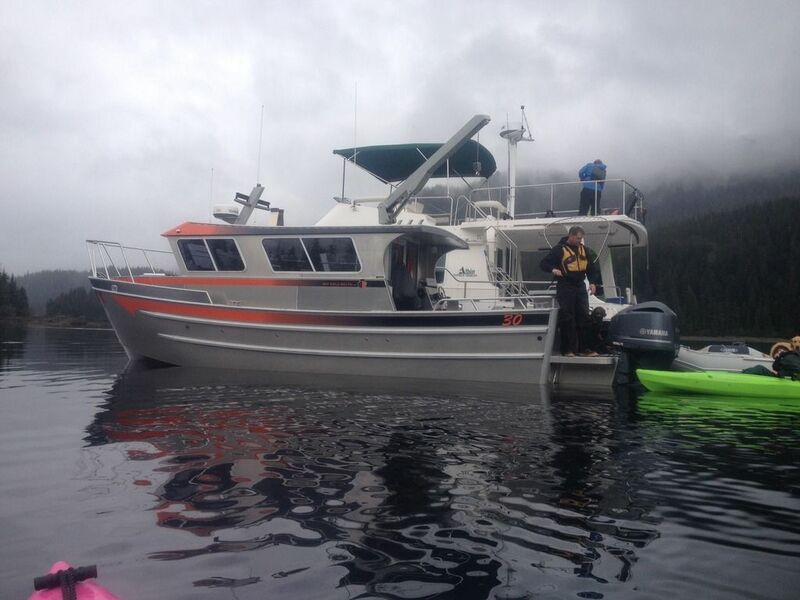 So, Eric and his boat design architect designed a true 10' hull. The result was a bottom width of 105", a straighter side profile, 7 ft bow height compared to the 9.9 beam hull with a bow height of 6 ft. 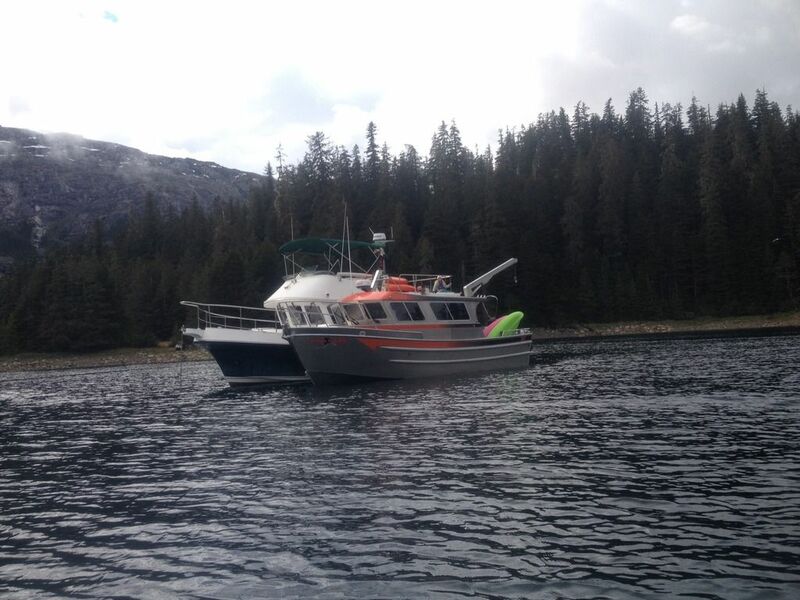 The increased bow height made the v-berth enormous in height allowing for full size permanent bunks. The difference between a 9'9" hull and my 10' hull is not just 3" but significant increases is the overall size of the boat/hull, which prompted me to go with the 300's too. Also, for those not familiar with BW they have built hulls with a beam larger than 10' (10'5, 12.5', 19' etc.) but for most recreational boats 9.5 or 10.5+ was what they had built to date. I see that the 'Bay Weld' design is a set of adjustable lines that are adapted to the different hulls built. That makes sense and allows for clients like you who wanted specific size and volume for your own purposes. That also explains why the lines all hint at Dennis C.'s lines of years gone by; they're the adaption of those lines grown into different proportions and sizes- over the years. Do you mean the sides are a little more plumb in the vertical or do mean the cup of the sheer on your hull from bow to stern is less? I'm assuming your remark is not on the sheer since it looks like a nice sweep and with the taller bow, than most of the Bay Weld hulls, I'm taking your remark that the wider bottom and 10' Beam OverAll that the sides, amidships have a little less flam and are more vertical than some of their other hulls? The increased volume of the hull looks like it came at a very small increase in materials because your 600 horses is delivering significantly more top end than a comparable boat in the slightly smaller size/volume range, so I'm implying the increased volume didn't add proportionally to the displacement and my reasoning is the out of proportion speed the extra horses are providing. Sure is nice looking, looking forward to hearing more about her as you have more time aboard. kmorin wrote: Do you mean the sides are a little more plumb in the vertical or do mean the cup of the sheer on your hull from bow to stern is less? More plumb in the vertical. Typically a 9'5" beam has a 96" bottom width. When you lay the sides out 4" to get more width you still have the same bottom width resulting in the everyting relative to the water line decreasing (exterior side height, interior side height, bow height, etc.) No doubt its a game of inches and some of these things are barely discernable. With a hull designed to be 10' beam all proportions of the hull are increased and not just by 3" (9'9" to 10'). The original build was a 28' x 9'6" with twin 150 Yamahas. The 30' x 10' build was a total $$$ upgrade of $28K. Most of that $$ increase being the motors. So, the lesson here is that it's not $28K for 3" and 2 more foot of boat. It's $28K for a ton (literally) more boat and 300 more hp. If I get her back on the water after first of the year for some winter king fishing I'll post up some pics or vids. 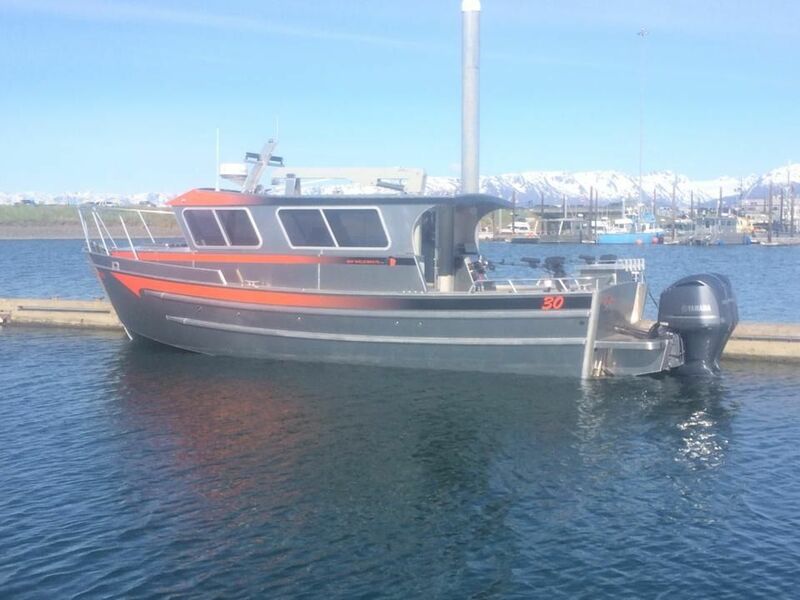 76' Freezer long liner "Alpine Cove"